Being a self professed Crazy Dog Lady, I have had the privalige to meet and chat with so many contemporaries and companies working within our industry. Whether that be dog charities, rescue services, the dog food industry, vetinary services and yes, designers and manufacturers of dog products. The one common bond that we have is we all are completely bonkers about dogs and wishing to make their lives happier and healthier. But what about the people out there that are volunteering for charities, many look at you and go right what can you do for us, you must have loads of money running a company like yours...errrr that is a big NO!..year 4 and I am still not taking a salary. But what about the small dog charities that are really making a difference in towns and Cities and live hand to mouth each month. Most of these charities only want you to talk about them to get their voices heard about the charities that they work for. Not for profit charities require donations to exist and every penny is spent on keeping the charity going and not on marketing budgets. 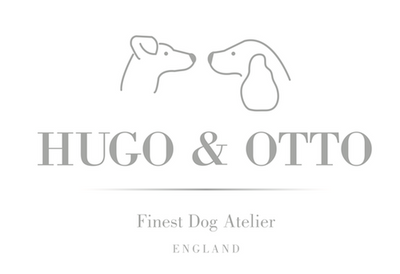 I had heard about DOTS London some time back when I attended an Expo at Crufts. 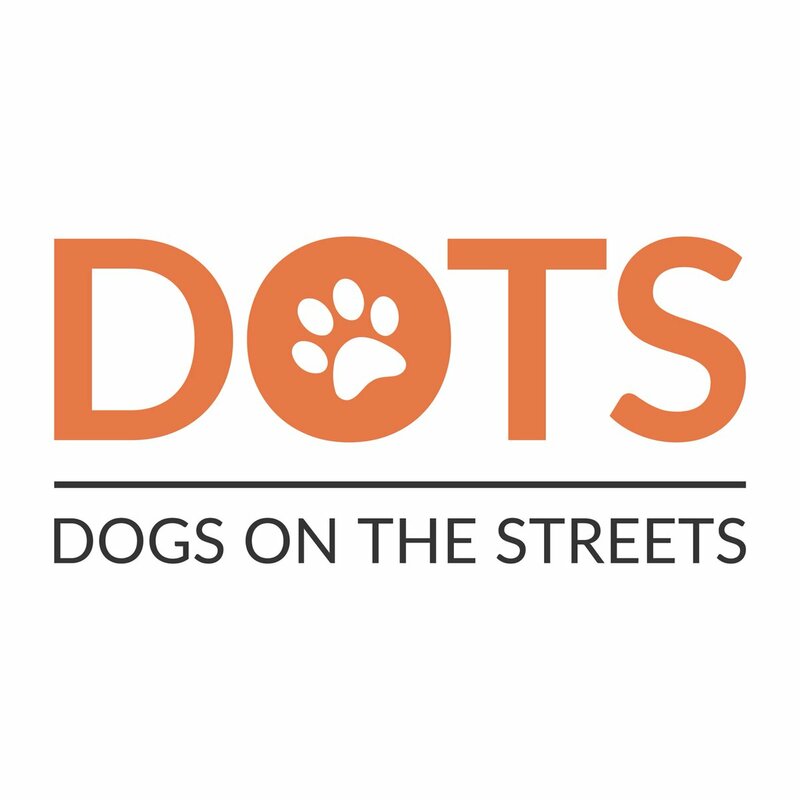 And then when helping a friend launch his new business at Discover Dogs London this year along came Michelle Clark, founder of Dogs of the Streets (DOTS) and said hello. Of course I wanted to know more, the night before I met the guys on stand that rescue dogs from Yulin and was just taken aback at the stories that I had heard and 3 little doggies were all just looking at me, one with only 1 eye. I asked Michelle, come on tell me your story, how on earth have you managed to set this up on your own and so we got talking. I promised to write a blog and ask some other companies if they could help in what ever way they could and here are some notes from our chat. Michelle, How did you come up with the idea of DOTS? 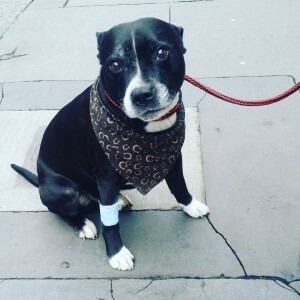 I had already been supporting London's street dogs by providing the basics for 5 years when in October 2016 I was approached by a homeless man asking me to help with his dog Poppy. Her dad was unwell and needed medical treatment so I took Poppy into my own home to look after her while he recovered. This made me realise that more needed to be done, so I decided to bring together as many services as I had access to provide support to the homeless community with dogs. Hence DOTS LONDON! What kind of services does DOTS offer? Training: we provide advice and training, mainly for socialisation issues as well as any other the owner may require like general obedience. We are going to be running a monthly fun/agility day for the dogs to get involved with and this will help with socialisation too. 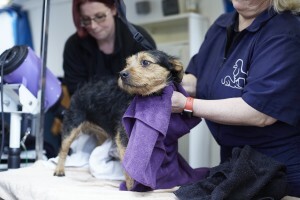 The mobile grooming unit: giving a street dog a pamper is always a delight whilst being also to offer new collars and warm dog jackets to keep them warm and dry. What are the most common issues the DOTS dogs present you with? The main problems we tend to see are diet related. Sadly, this is because the dogs don’t have access to a consistently healthy diet while living on the streets. With the help of our weekly station our clients are able to stock up on good quality, nourishing food, like Butternut Box! This has helped the dogs immensely with their diet and health. What is the most difficult thing about running DOTS on a week by week basis? Most hardest thing for me is seeing and hearing about the number of dogs out there and feeling unable to help secure accommodation for them. Walking away knowing I can go back to my own home while they are out there in all weathers is difficult. What is your favourite part of running DOTS? My favourite part is….. all of it! I just love being with our homeless friends and their furry companions. The love they hold and give one another is incredible. I also have a great team volunteering for DOTS! What does the future of DOTS look like? 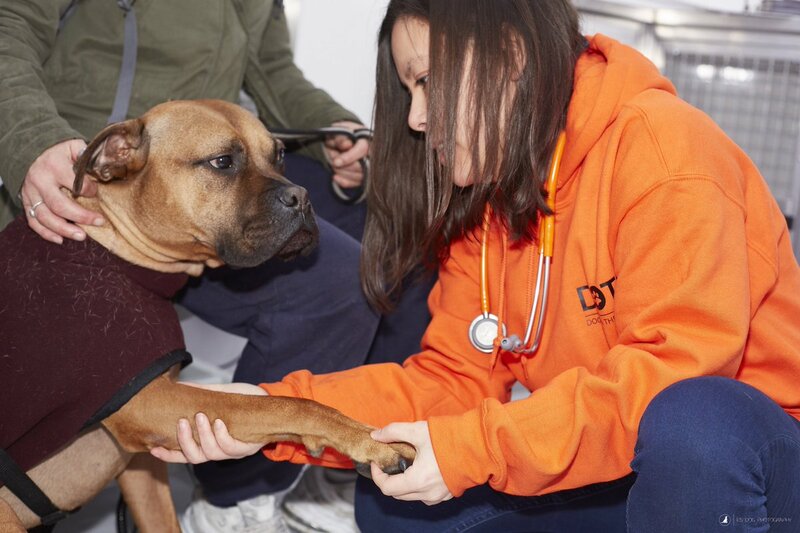 It’s looking very positive, we aim to start expanding soon, including doing some work outside of London and have secured promises of funding, voluntary vetinary care and contracts to help Dogs on the Streets in Brighton. There are some other things in the pipeline too! What can people reading this do to help DOTS? Spread the word! Join us on our social media platforms, pop on our website www.dotslondon.co.uk. We are a Not-for- profit, volunteer run organisation, so donations of items (please see our amazon wish list) and financial support is greatly appreciated, as is sharing with others about what we do. 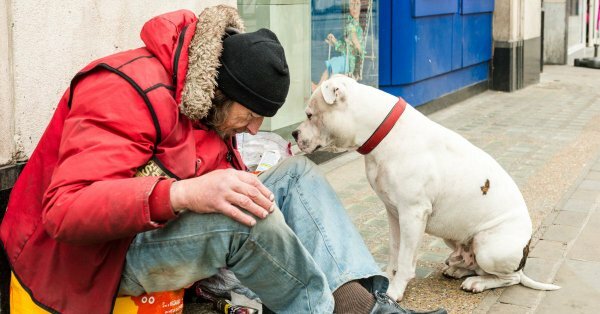 Talking to Michelle made me think about the homeless and their dogs, how on earth do they manage to pay for vet fees, any of us dread the bill after a 10 minute session never mind someone who is struggling to live day to day. I live in the middle of the country and very rarely have the time to leave my office for the City, but that next time I will ensure that I pack a couple of dog collars and leads in various sizes so that in a small way I may be able to help. I follow Michelle and her team on Social Media and try to support wherever I can and this really helps, helping to raise their awareness is vital.